Can I Get By with My Heater for Another Heating Season? Can I get through another heating season with my current heater? It all depends on why you’re thinking about it in the first place. 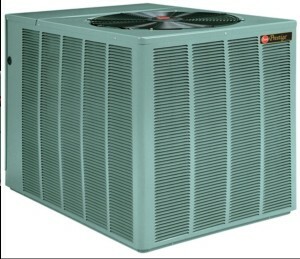 You may have to replace it because your heater maybe an old system that has already exceeded its expected service life. It’s starting to perform inefficiently, increasing your heating bills. It seems to be running more often. Or perhaps your heating system has required more and more repairs to keep running. Is it time for you to replace it? Let’s look at some of the possibilities to see if your heating system will get through another season (and maybe a few more after that), or if you need to contact Western Mechanical Heating & Air Conditioning to discuss replacement possibilities or other heating services in the New Mexico area. First: let’s look at the age of the heating system: Although heaters can exceed their life expectancy with proper maintenance, you should still have a professional inspection when they reach 5-10 years or older. The U.S. Department of Energy advises an inspection when your heater is 15 years old and 10 years for heat pumps, to see if it’s still operating efficiently. Second: repairs needed. The more repairs your heating system requires during the year, the more likely it is to break down during the time you need it the most. If you weigh your repair costs and the efficiency of your old system against the price of a newer and more efficient heating system, the best option would be to replace it. Third higher bills/poor performance: If your heating system seems unable to keep up with our winter conditions, and also costs more to run, you should take the safe route this winter season and have it replaced. Dealing with the extra utility cost and inefficient equipment for a whole season is a needless expense. Schedule an appointment with a professional at Western Mechanical heating & A/C, Let one of our service technicians perform a full heating service. This will give you a better piece of mind and answer to your questions about whether your heating system will make it through the winter. Our technicians will also offer suggestions on what type of heating system will work best for you and your home. Western Mechanical Heating & Air Conditioning has many years of experience to determine if you need a new heating system or just a minor repair. Call us now so you and your heater are prepared. The most advanced and finely-tuned furnace can generate noise. A furnace that heats your home will create steady and recognizable sounds such as the inducer motor, blower motor and in-shot burners. But this is only during normal operation, the sound of a furnace or heat pump shouldn’t be too distracting or noticeable. If you have loud air noise from your return air grill it may be due to it being under sized. If your heater starts producing loud sounds then it’s something you should pay attention to. It might only be a minor noise that will soon stop, but it could also turn into a major issue that might lead to it breaking down. Find out if the loud noise means your heater requires professional service. Here are a few reasons your heater might make unpleasant loud noises. For expert advice and the repairs that should be done, look to Western Mechanical’s heating & Air conditioning repair specialists. Gas leaks: This is the most serious problem a gas furnace can encounter, and you should schedule repair immediately if it happens. A loud noise that might warn about a gas leak is a sound of small explosion inside the furnace cabinet, which can indicate cracks within the heat exchanger, delayed ignition. If you hear this sound and can smell gas, shut off the gas immediately and call an HVAC professional. Please don’t try to fix this problem yourself. Wear and tear on the motors: If your furnace or heat pump makes a loud noise or it making your equipment rattle and wobble when it starts up, then the trouble may be in the motor itself, or it may be out of balance, or they are on the verge of burning out. Cracked belts: A belt on a blower motor can become cracked or loose, this can lead to extensive damage to your heating and cooling system if it isn’t repaired. The sounds associated with this problem are loud squealing noise or even a thumping sound. I know your thinking anyone can change a belt, and you can. But there is more to it than just changing the belt, a belt in a furnace or heat pump is a different matter and you should only let someone that is familiar with heating & air conditioning service handle it. Dirty burners: If the burners inside a furnace or package unit become dirty with spider webs, mice like to build their nest inside where it’s nice and warm, weeds and grass may also cause problems. So if you hear a loud boom or it just blows cold air. But this sound might also indicate a problem with your gas valve, don’t attempt to remove and clean the burners yourself. In general, you should not open the cabinet of a gas furnace or package to inspect or repair a noise issue or problem. Tampering with any gas appliance can lead to dangerous carbon monoxide exposure, even fire. Although heat pumps don’t pose any gas leak threats, they are very complex equipment that might suffer further damage from inexperienced attempts to repair them. If your heating system starts making unusual sounds you can’t diagnose it, it’s time to get help. Turns to the company people have trusted since 1995 for all their heating repairs, Western Mechanical Heating & Air Conditioning. When Should I Call for Professional Heating Repair? In many cases a heater can continue working with a faulty component or some other problem that needs to be addressed. If you allow your heating system to continue running with faulty parts you will increases the wear and tear on the system, as well as forcing the heater to expend more energy to do its job. Not only does that increase the risk of a major breakdown and costly repair, it will raise your monthly energy bill as well. If you find your monthly utility bills going up despite the fact that you’re not using your heater (or any other appliance) more than normal, you should probably call the professionals at Western Mechanical so that we can service and repair your heating system. The bigger problems may require replacement over repair. For example if the air flow is low you won’t feel the effects of the furnace and you heater will run longer in order to warm up the house. If the air flow is cut off entirely, and your heater won’t turn on you know there’s a problem and it should be addressed immediately. Then there’s the case where air is blowing just fine, but it’s cold not warm air like it should be, your furnace may be off on a safety that may need to be reset. When you start having problems with your heating system, it’s a lot easier to call the repairman rather than let the situation continue. If you’re asking “When should I call for professional heating repair?” then contact the experts at Western Mechanical Heating & Air Conditioning to help. We handle New Mexico heating repair issues with the utmost professionalism, and our staff is on hand to answer any concerns you may have, so don’t kick the can down the road! Let us get to the bottom of the issue and keep it from being a problem for you this winter. Call Western Mechanical at 505-341-4458 today to speak with a heating contractor about your home heating system needs in Albuquerque! In New Mexico heating plays a vital role in maintaining your comfort levels. We don’t have the icy cold winters of the Upper Midwest and East Coast, but our cold weather makes for its share of chilly winter nights. A reliable, efficient furnace can make for a warm and cozy home when the cold weather blows in. The last thing you want to deal with is problems with your heating system when you need it the most. A little pre-planning can prevent a lot of problems before they start. Here’s 3 ways you can start the heating season on the right foot. Take a few basic steps. A few simple things can improve your furnace’s efficiency and lower your heating bills. 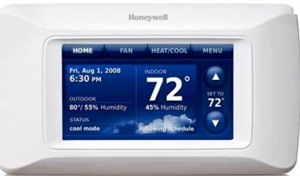 Set your thermostat a few degrees lower at night and during the day when you go to work. You won’t notice it’s a few degrees cooler inside when the temperatures outside are cooler. Make sure to check your doors and windows for leaks and seal them if possible, this will help prevent the warm air from escaping your home. Consider wearing warmer clothes such as sweaters and sweatshirts around the house, this will also let you keep the temperature a few degrees cooler with your home as well. Make sure to schedule routine maintenance and service. Fall is the ideal time for Western Mechanical to go over your heating system and perform the regular service: we’ll go through and tighten any loose bolts and screws, quote and replace any worn parts, identify any potential problem areas before they get out of hand. Consider upgrading that old furnace or boiler. Your furnace or boiler may be working just fine, but you may want to consider a new, more efficient heating system to help make your fall and winter more comfortable and put some money back in your pocket for the holidays and years to come. If your heating equipment uses an older thermostat, you should replace it with a digital thermostat, this will allow you to lower the heat automatically when you go to work and warm back up before you get home. You may want to consider a zone control system, thus allowing you to turn on heat to individual parts of the house while leaving the remainder of the house untouched. Regardless of your heating needs, the professionals at Western Mechanical Heating & Air Conditioning can help you start the heating season on the right foot. We’re locally owned and operated so we understand and care about your home and family’s heating needs; we’re also dedicated to your complete satisfaction. Call Western Mechanical’s heating technicians today, and let us help you get ready for the cold winter weather. As one of the leading air conditioning contractors in Albuquerque we understand how difficult it may be to know when it’s time to replace your air conditioning system. For many homeowners, it’s a tough decision to make, it’s always best to consult with a reputable company before you rush into any decisions. 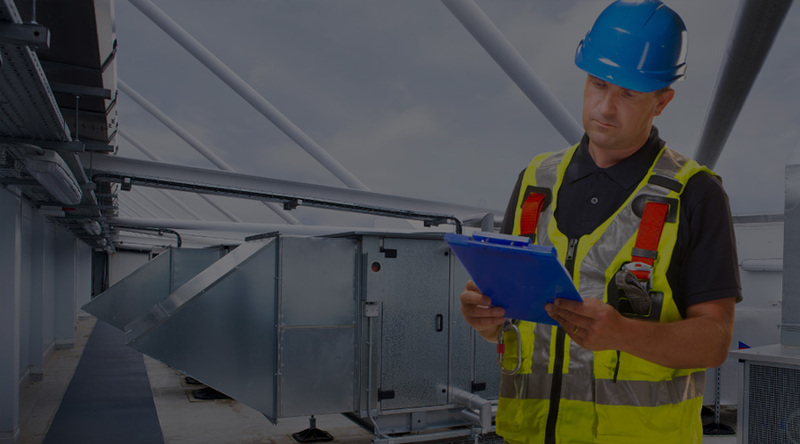 There are many things to consider, starting with the age of your equipment and how efficient your air conditioning system is, to how often you have to repair your system. Western Mechanical is here to help. Call Western Mechanical Heating & Air Conditioning for all of your AC needs, whether repair or replacement. 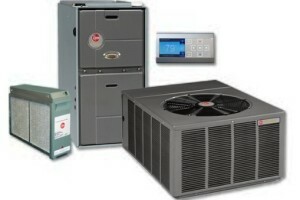 Let’s look at the question of replacement of Your Air Conditioning System in more detail. FIRST do you pay for frequent repairs? One reason you would consider replacing your air conditioning system is frequent repairs, so if you feel you’re seeing too much of your technician, you may want to consider replacing your existing system rather than continue to throw your money away. The reasoning is principally financial. While it may be possible to continue repairing your AC for another few years, is it really worth paying to repair that old or troublesome system that is in severe decline when you could invest in a new reliable and energy efficient A/C system for the future of your homes comfort? Technology is always improving, and replacing your existing system now will save you those headaches and money now and into the future. SECOND is your air conditioning system old? The main factor to keep in mind is the age of your system. Even if your air conditioning system doesn’t require the frequent repairs, just keep in mind it will need to be replaced eventually. While you’re pushing to get a couple more years out of it, consulting with Western Mechanical about the replacement of your equipment will help you understand the new technology and efficiencies they have to offer. If there are any signs that your AC won’t last long, it’s better to replace it before it breaks down and leaves you uncomfortable in your own home. THIRD is your air conditioning system energy efficient? Efficiency is a major consideration for today’s homeowners more than ever before. 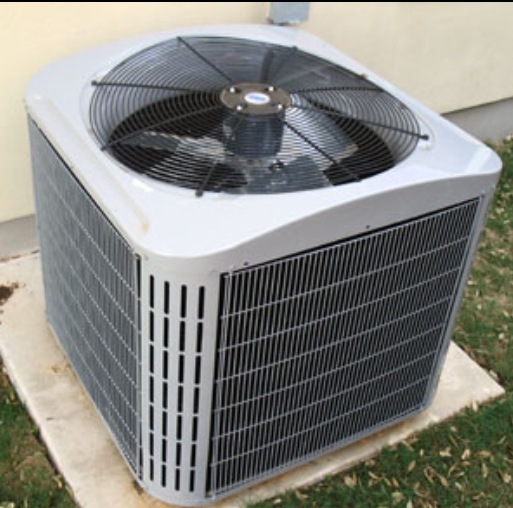 The older air conditioning systems lack the efficiency ratings you need in your home, and by upgrading yours air conditioning system, you will save a substantial amounts of money in the long run on your utility bill. For quality air conditioning and replacement service, call Western Mechanical Heating & Air Conditioning at 505-341-4458. Western Mechanical Heating & Air Conditioning FAQ: Is it Time for a new A/C? In the heat of summer, you should be able to count on your air conditioning system to keep your house cool and comfortable. Just like all mechanical systems, your air conditioner won’t last you forever. At some point you will need to invest in a new air conditioning system for your home. Trying to determine when the best time to replace your existing air conditioner, rather than repair it, can be complicated. The efficient way to assure that your making the right decisions on what brand and how efficient you want your new air conditioning system to be, is to let Western Mechanical Heating & Air Conditioning help you when it comes time to replacing it. You should consider replacing your air conditioning system when you find that you’re having frequent repair. At some point it just makes no sense to continue repairing your old air conditioner, even if the repairs are possible. 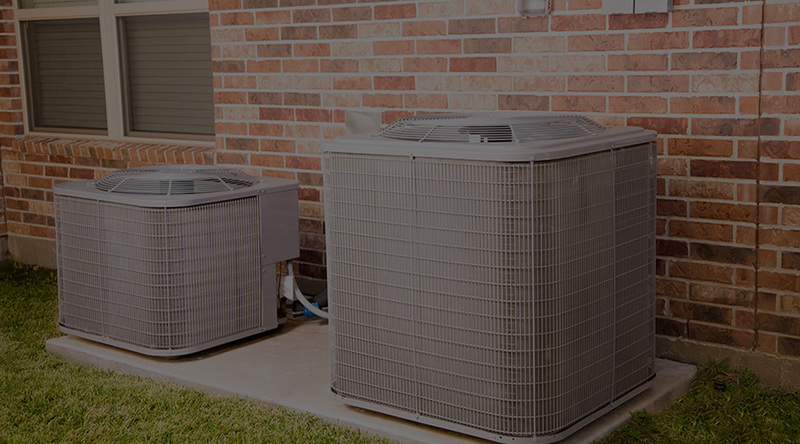 There is an upfront expense to consider when replacing your air conditioner, with a new air conditioning system you don’t have the repairs and service needs necessary to keep it running, this alone helps you save money over time. If you are tired of your inefficient and unreliable air conditioning system, the time may be right for Western Mechanical to replace it. Keep in mind your air conditioning system maybe working just fine. Many older cooling systems having problems, and those without operational problems, can’t compete with the higher efficiency units that they offer to day. They weren’t designed today’s standards. 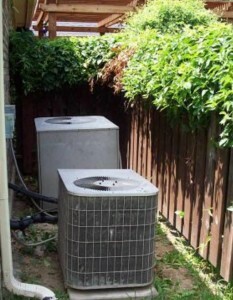 Your air conditioner may not be unreliable, but if you think about it, it still makes sense to replace it. You can enjoy a more efficient air conditioning system, with your new investment your A/C system will translate into energy savings. This will help offset the initial investment cost. When it comes time to replace your old residential or air conditioning system, you have some decisions to make. First you want to figure out what type of system you want installed in its place. First you need to find out how much a comparable air conditioning system will cost and what the benefits would be if you upgrade. Sometimes we have no choice in whether to repair or replace our existing air conditioning system. If notice your energy bills are going through the roof or your system stops working, it’s probably time to invest in a new air conditioning system. But your decision might not be so clear cut. Because you may have had an older reliable A/C unit for some time now, so you may not be inclined to replace it thinking that the simple cheap repairs are better at the time. That’s not always the case, and yes the upfront cost of an air conditioning system replacement will be more up front then the simple repairs, so if you think about it a newer more efficient A/C system can actually save you money over time, you also have better warranties on a new system then you would have on repairs. If you would like more information about your air conditioning system options, contact Western Mechanical Heating & Air Conditioning at 505-341-4458 for the highest quality heating and air conditioning services today! 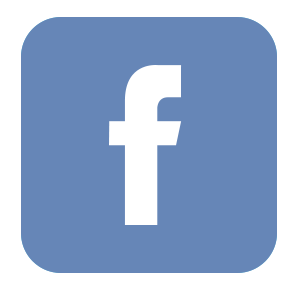 We are always happy to answer any questions you may have about your air conditioning replacement options. Get the outstanding performance you deserve. If you own an air conditioning system that is over ten years old should consider replacing it with a newer more efficient model. The older air conditioning units are very inefficient and maybe over sized for the needs of the home. Installing a newer more efficient air conditioning system will give you lower utility bills as well as comfort, not to mention the production of R-22 refrigerant is coming to an end, and any repairs that are needed are going to cost you more money! There are many reasons why you should considered the installation of a new air conditioning system. Is your air conditioning system very loud when it’s running or turns on, does it cool evenly or as good as it did at one time, are your utility bills high? These are a sign that your air conditioning system isn’t working properly. Problems like this may require costly repairs bills and the amount of the repairs could be as close to cost of a new air conditioning system, something else you should consider is the money you would be saving on your utility bills each month. When it comes to energy savings, you the homeowner should have an air conditioning system that operates at 13 SEER or higher. The term SEER stands for Seasonal Energy Efficiency Rating. If you look at the condenser and it says it’s a 12 SEER or lower this would be the time to consider a new air conditioning system. One thing to keep in mind, for every SEER you increase it’s a 10% savings on your utility cost. It seem expensive, but replacing your old air conditioning system with a new one is a big decision that can help save you money for years to come. Remember that with any new air conditioning system maintenance is needed just like you would take care of your car. Maintaining your air conditioning system will ensure that it’s working properly and efficiently and continue to work for years to come! Keep in mind when your replacing your old condenser the indoor evaporator coil needs to be changed as well or the new condenser that you just replaced will cost you more to operate! call the professionals at Western Mechanical and will explain why, So remember when the external unit is replaced it is highly recommended that you replace the indoor coil as well, so be sure to ask your HVAC contractor any questions that you may have about that old indoor unit. Again remember that old indoor coil can cause failures in your new outdoor condenser, which will be costly to repair. So make sure whatever equipment you buy is a matched up with the same brand of equipment! Call Western Mechanical Heating & A/C at 505-341-4458 and let us help you choose the best equipment for your home. If you have a leaking water heater it can be a big problem depending on where the leak is and how severe is it. What repairs are required and should you replace it or repair it. Here are a few things you should consider about your water heater to help you determine what to do. First step is to determine where the water is coming from. Look for leaks around all the fittings, also if you see rust spots around the top lid or base it’s a good indication that you may have a leak. If you find your water flexes loose or if you see water dripping from a connection, it can be fixed easily. Now if the leak is coming from internally of the water heater, the tank may have a crack in the tank which is a good sign that the water heater is bad and needs to be replaced. Once you determine where the leak is, take one more step and make sure the pressure relief valve works by pulling up on the leaver water should come out then it should slam shut and not drip, turn off the water supply to your water heater, if you find that the valve won’t shut off you may need to turn the main water off to the house, now drain it down the rest of the way. (NOTE: Don’t drain your water heater in your grass or flowerbed because you will kill it being that your water is very hot) You should always turn the gas off and or disconnect the power from the water heater. We always recommend that you call a professional to work on any gas appliances or electric for your safety as well as your home. Next step is to turn off the breaker to the electric water heater. Now connect a hose to the drain valve at the bottom of the tank and drain the remaining water. Once the tank is empty you can tighten your fittings. Please be advised the shut off valve may start leaking after it has been opened. If it’s a fittings or valve problem, loosen the fittings that have been leaking and repair them by using Teflon tape and pipe dope as long as the threads are in good condition, now reconnect all the fittings and tighten down, don’t over tighten. If the pressure relief valve continued to drip or did not work after it was opened or did not open you will need to replace it at this time. Before turning on the gas or electricity to your water heater, refill the water heater by turning on the water supply, and make sure you open your faucets to relive the air from the lines, once the water heater is filled check it for leaks. If no leaks were found your water heaters should be fine. Now you can relight the pilot and for your safety, please follow the manufactures instructions on relighting your water heater. If it’s electric you can turn the breaker back on or plug it in. If your water heater continues to leak call the professional at Western Mechanical 505-341-4458 more than likely the glass inside the tank has cracked causing it to leak. The liner cannot be repaired so you will need to replace the water heater. You may not realize it, but the air conditioning system in your home is actually a heat pump, when we get into spring and summer your Albuquerque air conditioning system removes the heat from in your home to the outside, so In the winter time your air conditioning system remains idle for months. Problems may occur if you suddenly start using your Air Conditioning system after long periods of inactivity. Having your air conditioning system serviced and inspected is beneficial to you by making it run more efficient. When your Air Conditioning system runs efficiently your able to keep money in your pocket! At Western Mechanical Heating and Air Conditioning in Albuquerque New Mexico , we provide our customers with quality air conditioning and heat pump services and maintenance, here are a few things to keep in mind. In the winter time your air conditioning system sits ideal in the outdoor elements. In those months of inactivity here are a few problems that may occur. Dirt, snow, ice, leaves and branches can find their way into your air conditioning system. Also, rodents like to nest in the electrical compartment and nibble on the wiring causing major problems, insects take up residence in your air conditioning system as well causing damage. Without maintenance or routine service inspections those issues will go unnoticed until your air conditioning system stopped working. The benefits of air conditioning and heat pump maintenance it reduce the need for high air conditioning repair. Most Air conditioning problems start as small Problems. With regular maintenance visits, the technician will be able to find those problems and repair them before they cause further damage. The advantage to regular air conditioning and heat pump maintenance will extend the life of your equipment and the efficiency. Western Mechanical is called to replace air conditioning systems that were destroyed by those problems when they could have been fixed. When an expert inspects your air conditioning system they can find and fix the problems before it fails. Air Duct Cleaning FAQ: What Will Air Duct Cleaning Do For Me And My Home in Albuquerque New Mexico? When it comes to your home and quality of the air, most people don’t think about their Supply and Return air ducts. If you have a forced air furnace and or air conditioning system most people don’t realize or think about the conditioned air that travels through your ductwork it will pickup contaminants and particles that are present, those contaminants will spread throughout the home. 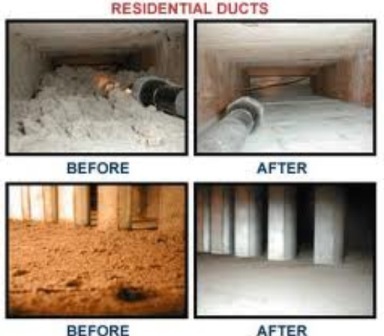 At Western Mechanical Heating and Air Conditioning we offer professional air duct cleaning. We always get asked about the benefits of air duct cleaning and how does it actually work. So we thought it would be a good idea that we put together a list of things that our technicians will do when they visit your home. Before our technicians arrive for your air duct cleaning visit, it’s a good idea to make sure and move any breakables from any furniture that is going to be moved, if you have anything over a supply vent make sure it can be moved so that they can clean the ductwork, if you have pets in the home its a good idea to keep them away from the working area, the technician also need a path from the door to your heating and cooling system. The air duct cleaning system use a high powered vacuum as well as a hepa filter system to clean the air in the home at the same time were removing the contaminants that have built up in your ductwork. This involves pushing a high pressure hose through your ductwork mixing up the dust and debris so that the vacuum system can pull it back into the filter box and out of your home. Western Mechanical will also thoroughly inspect all your ducts and vents. It’s always a good idea to make sure that your working with a duct cleaning contractor that know how your heating and cooling system works so they can make sure your equipment is working properly after the job is complete. Over time your it starts to get dusty and dirty and what we don’t realize is that it causes air flow restriction as well. Having these contaminants cleaned has a positive impact on your home. The air quality is perhaps one of the main benefits of cleaning your duct system, it will potentially increase your home’s air quality. By removing the pet dander, bacteria, dust and insect dropping from your ductwork. The efficacy of the air that travel through your ducts, any debris or blockages can slow the flow of air. This reduces the efficiency of your home’s heating and air conditioning system.